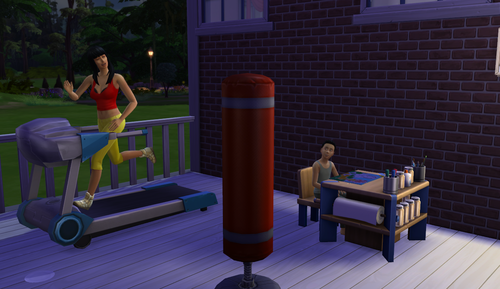 Chapter 13: Time moves quickly! 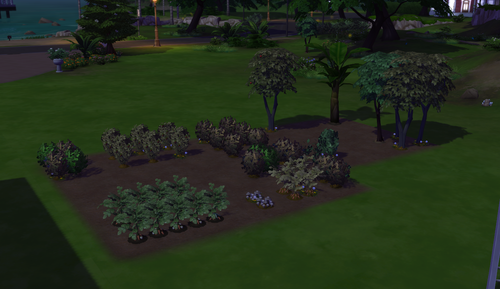 Everyone is rude, Dorian passes, and the garden gets downsized. …he wouldn’t get to meet his child. His mourners included his daughter, Fiona, Ryu and Spencer. 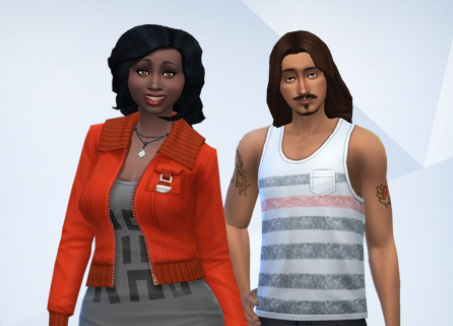 Kaida, Rei, and his own wife didn’t really worry themselves. I won’t ever understand how mourning is meant to work. I’m mourning his loss because he was SO CLOSE to reaching a high position at his job (and he brought in tons of money for the family). Ah, well. 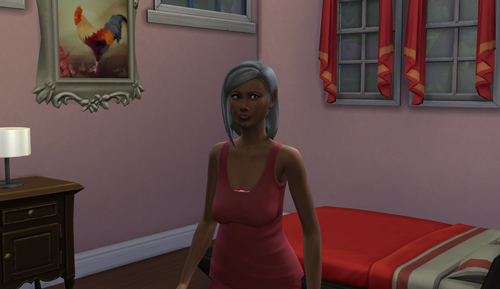 In other news, Kaida aged into a teen and (luckily) earned the genius trait. I thought her outfit was fun so I’ve left it so far. She’s still a fabulous cook, thankfully, and she’s skilled up to 10! 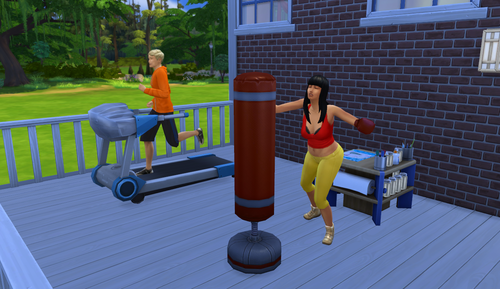 Ryu and Fiona aged into young adults days apart and spend a lot of time working out. As Ryu is a potential heir, I’ll share his final traits: goofball, evil, and bro. For some reason this is hilarious to me. He also wants to be a party animal. I don’t know how to feel about this. He’s also very rude. He and his younger sister are both evil and mean, respectively, and it troubles me. 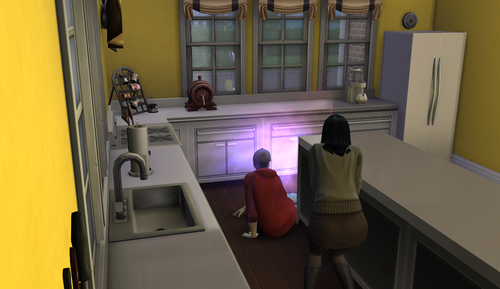 Add that to their father also being very rude and we’ve got some unhappy sims in this house! Oh, right, Reina had her baby! She had a boy and named him Cory. No pictures of his baby-hood but he turned into a cutie pie! 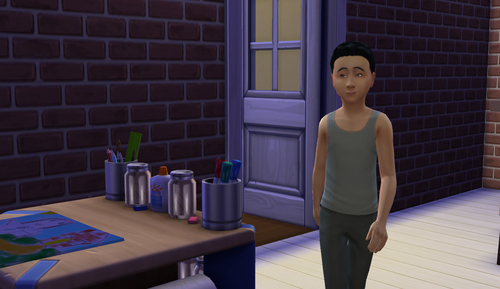 He gained music lover and has the creative aspiration. He’s doing well already. 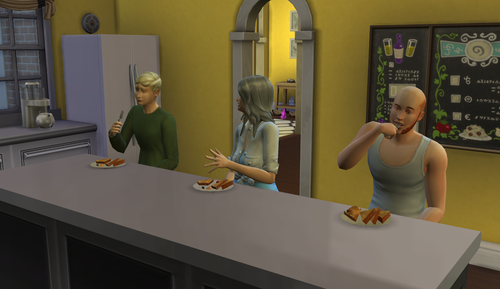 He and his much older sister are fortunate to be able to spend time together doing what they each enjoy. Moving on, Reina aged into an elder. Still looking okay, ma’am. And lastly, the garden. That pesky garden. Did some more cleaning up and tried to only keep 4-6 of each plant. The ones at the bottom are splices so there are more. I have two plants that have everything in the garden. The smaller set up is a little easier to manage, so far at least. Sorry that was such a small update but I was having more fun just playing them then documenting them.